Charmaine DaCosta started bottling Limation this year, which she distributes around New York City. 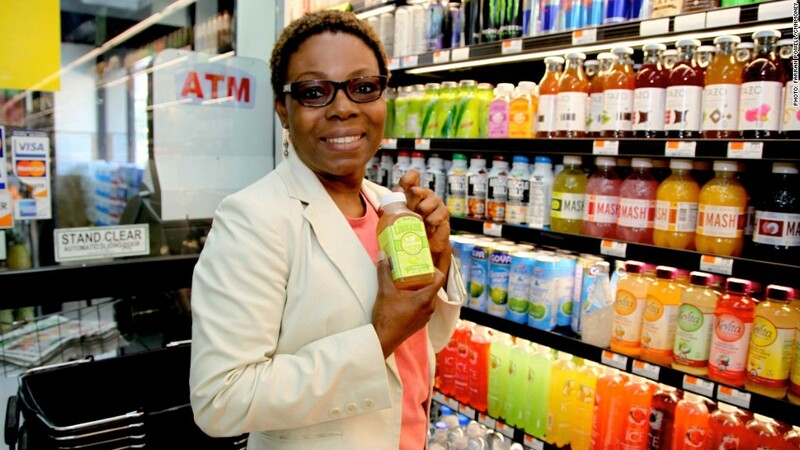 From the trunk of her Toyota Corolla, 53-year-old Charmaine DaCosta delivers her Jamaican limeade to grocery stores and delis in Manhattan and Brooklyn. "I do my own delivery, make the product and I [watch] over every process," DaCosta said of her beverage company Limation. "All the financial responsibility falls squarely on me." DaCosta is one of many minority female entrepreneurs driving the market -- it's the fastest growing demographic launching businesses. And in fact, minority women lead over 25% of the 8 million female-owned businesses in the United States, according to the Center for American Progress. The challenge for most African-American women isn't the entrepreneurial spirit, it's having sufficient access to funding and venture capital, according to CAP, a Washington D.C.-based think tank. "It's been very difficult because I have no cash," DaCosta said. The Jamaican-born Harlem resident created a business plan for her beverage line two years ago, but it wasn't until she won $5,000 from a business competition last year that she began to forge ahead. The seed money covered insurance and part of the trademarking, but "it was gone in a blink of eye," DaCosta said. DaCosta used to make batches of the limeade for friends and family. She decided to bottle it after being downsized from her office job at a local nonprofit. Using her own cash and that of several individual investors, she launched the beverage line in New York City in June. "I really have to make my own good luck story," she said. DaCosta plans to forgo a traditional bank loan and sell her Harlem apartment in order to fund distribution in the Tri-State area. She's not alone. Many single black female entrepreneurs have to contribute their personal funds and rely on their community, family and friends to help with start-up capital, said Farah Ahmad, policy analyst for race and ethnicity at the Center for American Progress. "While women-owned businesses are the fastest-growing segment, and many succeed, women must overcome barriers that their male competitors do not face," read a 2013 Senate report on small business and entrepreneurship. "In the area of capital, studies find that women do not get sufficient access to loans and venture capital." A study by the Kaufman Foundation echoed that sentiment, finding that women receive 80% less capital than men in their first year of business. "Access to capital is pretty much nonexistent within the black community, so you're going to need an angel or a venture capital group," said Melissa Butler, a 28-year-old Michigan native. Butler left her job on Wall Street last year to launch a lipstick line Lip Bar, which is now sold at Urban Outfitters. She used more than $30,000 of her own money to manufacture and market the product. The rest of the funding has come from sales, her personal network and crowdsourcing. "To be clear, we don't want to make the truck our business. But the truck is less expensive than a brick-and-mortar and it's a moving billboard," Butler said. In order to take the next step and expand Lip Bar's offerings, she said she needs a strong investment partner or venture capital. "The ultimate goal is to take the business back to my hometown," Butler said. "And, bring the beauty back to Detroit."